Earn up to 528 reward points. 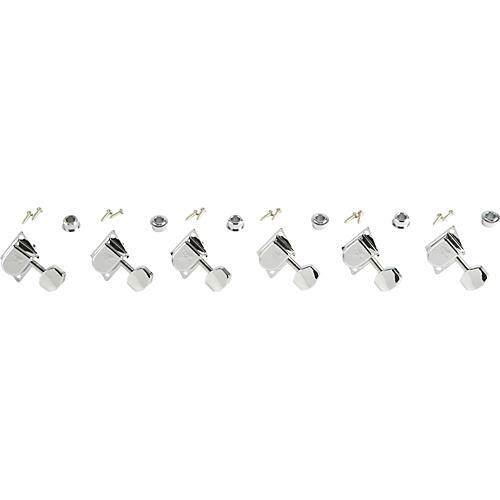 Genuine Fender 70's "F" Tuning Machines in chrome finish. Features offset mounting tabs, split tuning posts, and embossed Backward "F" Logo. Includes press-in bushings and mounting hardware. Fender part: 099-0822-100.